Pacciani probably killed 16 people between 1968 and 1985. 8 August 1906 (+) is born in La Crosse, United States. 27 August 1906 (x) is baptised in La Crosse, United States. 29 December 1945 (x) Augusta Gein dies at the age of 67 of a cerebral hemorrhage, leaving her son Gein all alone on the farm and his fantasies on the loose in La Crosse, United States. 15 April 1951 (x) Mabel Everson dies at the age of 69. On the night of the funeral Gein robs her grave and takes parts of her body home to make his grisly artefacts in Plainfield, United States. 1 November 1952 (x) 42-year-old deer hunter Victor 'Bunk' Travis and his companion Ray Burgess are presumably shot dead by Gein in Plainfield, United States. 8 December 1954 (-) shot dead Mary Hogan in Plainfield, United States. 16 November 1957 (-) shot dead Bernice Worden in Plainfield, United States. 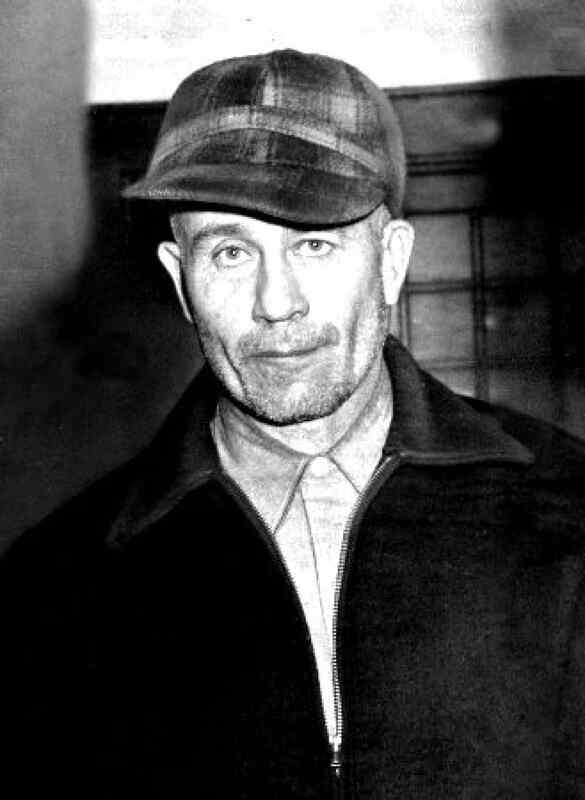 7 November 1968 (x) Start of the trial against Gein in Wautoma, United States. 14 November 1968 (x) is found guilty of First Degree Murder in Wautoma, United States. 26 July 1984 (-) dies of respiratory failure due to lung cancer in Madison, United States.